Do I Still Need to Wear a Retainer? Dr. Jeffrey Rector is a Montana native. After growing up in Billings, he attended MSU Bozeman and the University of Montana. He was then accepted to the University of the Pacific Arthur A. Dugoni School of Dentistry in San Francisco, where he completed basic braces and Invisalign training. After dental school, Dr. Rector completed a full-time, 30 month University of Nebraska residency of Orthodontics to become a certified orthodontic specialist. Dr. Rector's favorite part of being an orthodontist is seeing his patients grow and become more confident throughout treatment. 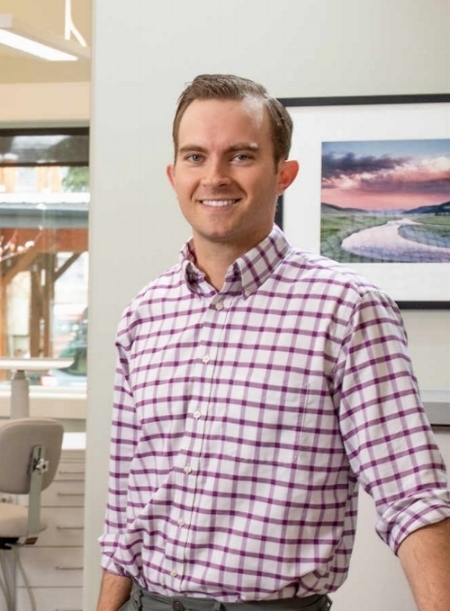 Dr. Rector is a member of the American Association of Orthodontists, the American Dental Association, Montana Dental Association as well as the Montana State Orthodontics Society. His hobbies include spending time with his wife, Charissa, and two kids, and enjoying the Montana outdoors.